Only about 6,000 people live in Mary Wassell’s Illinois community of Geneseo. So, while you may not know every person in town, you likely know of them. Mary, a former soccer mom with a son in college, noticed her friend was selling T-shirts at a soccer tournament with the proceeds benefiting a local soccer player. That’s how she first heard about 15-year-old Trevor Schefsky. Trevor’s family had recently discovered that his illnesses were due to a rare genetic disorder called DADA 2, which left his blood cells vulnerable because of a missing enzyme. Doctors recommended a bone marrow transplant at Cincinnati Children’s Hospital in Ohio. With long-distance hospital visits and sizable medical costs, friends rallied to help. Nearly five years ago, Mary found herself approaching a table at a local show. Her mother was an artist at the craft show and her youngest son was preparing for college. When the woman behind the table explained she was a Designer with Origami Owl and shared the company’s mission to be a Force For Good; to love, inspire and motivate people of all ages to reach their dreams, something sparked in Mary. She knew it was exactly what she needed and she joined under her sister Melissa Bierlein. 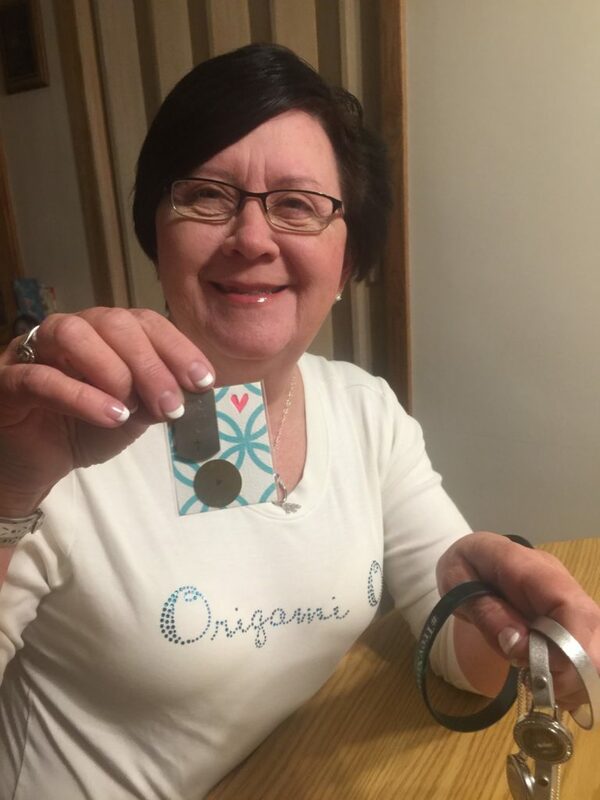 Since starting her Origami Owl business, she’s hosted many fundraisers to help people give back to important causes. She’s also provided Living Lockets® for gift baskets, shared limited-time, Force For Good promotions that give back, and even donated her commission to organizations who have shared the exclusive jewelry looks. Something extra special tugged at Mary’s heart when she began learning more about Trevor’s story. Maybe it was his love of soccer, just like her son. Maybe it was the “pain and suffering” she saw in hospitals as a nurse and the light she wanted to bring. Maybe it was personally going through losing her sister to cancer. In any case, she felt compelled to help organize a fundraiser at Sam’s LaRoma Pizza, a local Italian food restaurant with other soccer moms and players. Together, the group gathered dozens of community members to serve, clean tables and find seats, and more than 300 people walked in and out of the doors within two hours. The group raised funds to help support the family’s travel expenses and medical costs. At the event, Mary gifted Trevor and his parents Lori and Tony Schefsky with personalized Origami Owl jewelry. 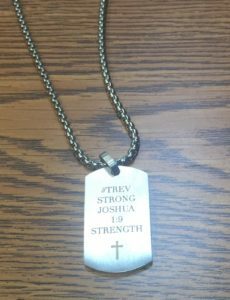 For Lori, Trevor’s mom, she created a bracelet, which included a custom-inscribed Plate that said “#TrevStrong” and “Joshua 1:9,” the rallying cries captured on every T-shirt and in every Facebook post. She added a Boy Charm, a Faith Charm and a Hope Charm to encourage her. Next, she made custom Tags for Trevor, his brother Zach and his dad, Tony. 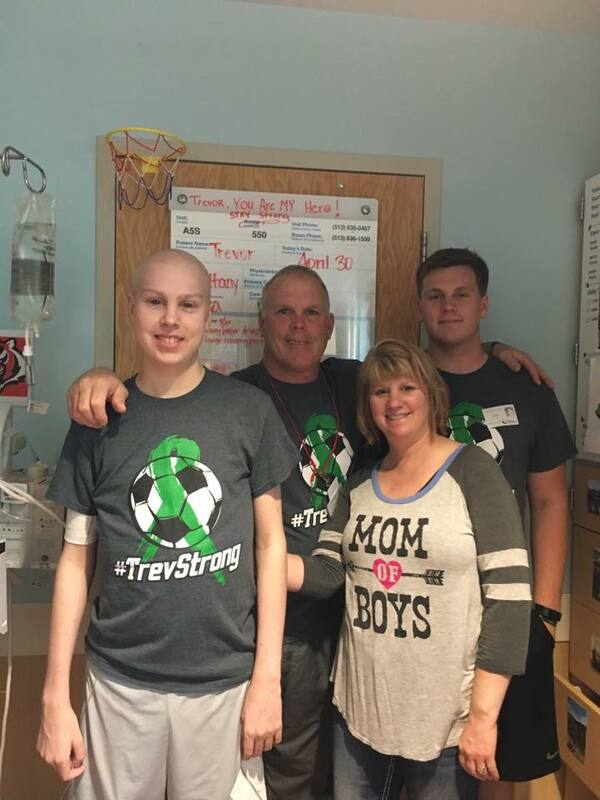 Soon, Trevor and his family set off for Cincinnati for what would become multiple procedures, a surgery, 3 bone marrow transplants and interventions to give Trevor a fighting chance at life. One by one, the interventions restored hope, but often, delivered another difficult blow in his journey to health, with infections and complications abounding. One day, Mary received a private message from Trevor’s father. Could he purchase a new tag? His somehow disappeared while he was traveling with his family to and from the Ronald McDonald House in Cincinnati. “He told me ‘I’m lost without it’. That really touched me,” says Mary. She quickly replaced his cherished Tag and brushed off his insistence to pay her for it. It was the least she could do. Sadly, Trevor lost his battle on November 29, 2017. The community came together once more to pay their respects for the 16-year-old, soccer-loving boy with an effervescent smile and happy demeanor. And Mary joined them. As she approached Trevor’s casket, she glanced at his hands and the sight took her breath away. “He was holding the tag and his dad asked me ‘did you see the tag? I wanted Trevor to have the one I wore,” Mary recalled tearfully. After visitation, one of the soccer moms contacted Mary about the tag that was in Trevor’s hands. She indicated some of the moms wanted to get a set of these special tags for their sons who were his team mates and close friends. It was something their boys could hold onto to remember their friend forever. Mary contacted Origami Owl’s corporate team in Arizona and arranged for extra tags to be made since they were no longer available. The team pulled together and found extras to grant the wish. 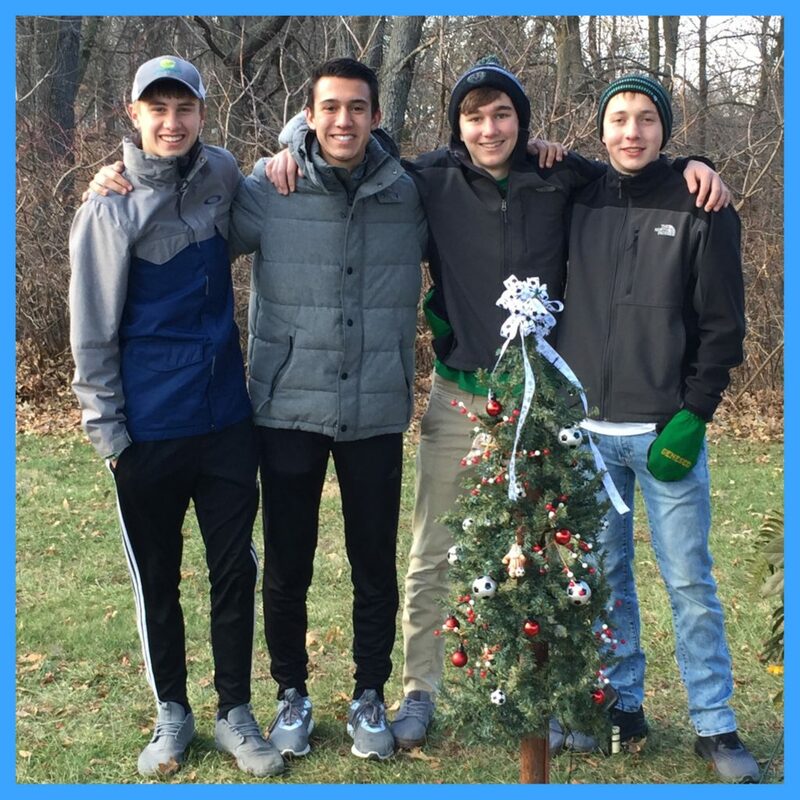 Just a few days later, the mothers presented their sons with the “#TrevStrong” tags at Trevor’s grave site beside a small Christmas tree they’d picked out and decorated. They sensed the relief these small tokens brought to the boys’ hearts. One mom said that instead of hanging the necklace from his car mirror as she had anticipated, her son wore his tag every day. “One mom told me ‘you represent a pretty amazing company,’” says Mary.